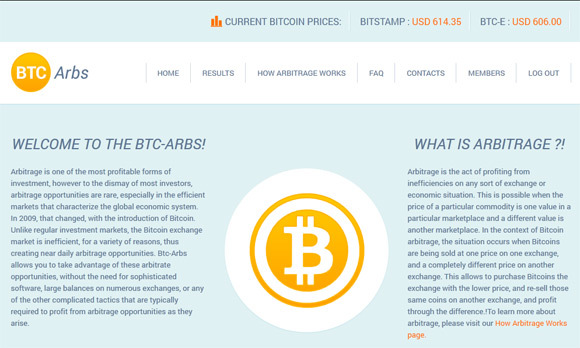 Thank you for this expose – I was considering investing in BTC Arbs but have now changed my mind. What is your assessment of Bitcoin Trader? It sells shares of “mining” or “trading” (arbitrage) and tends to earn 0.5-1.5%/day. From my research and experience it seems legit and very well-run, but would you put it in the same category as BTC Arbs given the high yield? Unfortunately, I only found this review of a BTC-Arbs after I have made a test investment of 0.1 BTC yesterday. I have “made” 0.7% overnight, and have now withdrawn my 0.1007 BTC. However, BTC-Arbs says they the withdrawal process will take 36 hours! What rubbish!! I will wait and see if my test investment is paid out and report back. BTC-ARBS took 65BTC’s from me then disabled my account and I cant login to retrieve my money. When I tried their support they dont answer. I had to go on their Facebook page (https://www.facebook.com/pages/Btc-Arbs/1455469264688042) the only reason they answered is because I commented on the wall and they said it will take a long while to sort out my login issue because they get 700 requests a day. The basically took off with my money because Password reset is automated. They even deleted any trace of my email that way I cant reset the password. Good think I took an image of the site every day and the transaction records and all correspondence with it’s proprietor Adam including his emails asking me to send US$ to an account in Hong Kong with all the bank account details. The guy that runs the one man show is called Adam. They claim to be based in Geneva which is bogus, Adam claims he lives in Canada but now is in China. Their Bank account is in Hong Kong and the website is registered in panama. Sounds like Alcapone. I have details of the details of their account in Hong Kong which I will turn over to the authorities here in America if they dont return my money in a couple of days on the hope I save someone else from being suckered. The bitcoin arbitrage sites are all scams. I tried BTCreturn.net, they just kept asking for more deposits and never withdraw anything. The site is all smoke and mirrors. MyDailyCoin, however, seems different. It has given me the promised returns every day for over a week now. And I have withdrawn, and can do so at anytime. The only catch is they take 5% when you release your principal for a withdrawal. I was also referred to the site by another user, who I met on a legitimate mining site, and according to this person they receive regular payouts as well. In short, Arbitrage = SCAM. MyDailyCoin = PAYING. 1 – 2% can be real. Anything beyond that is almost GUARANTEED to be a scam. ranged from .67 to 1.07%.